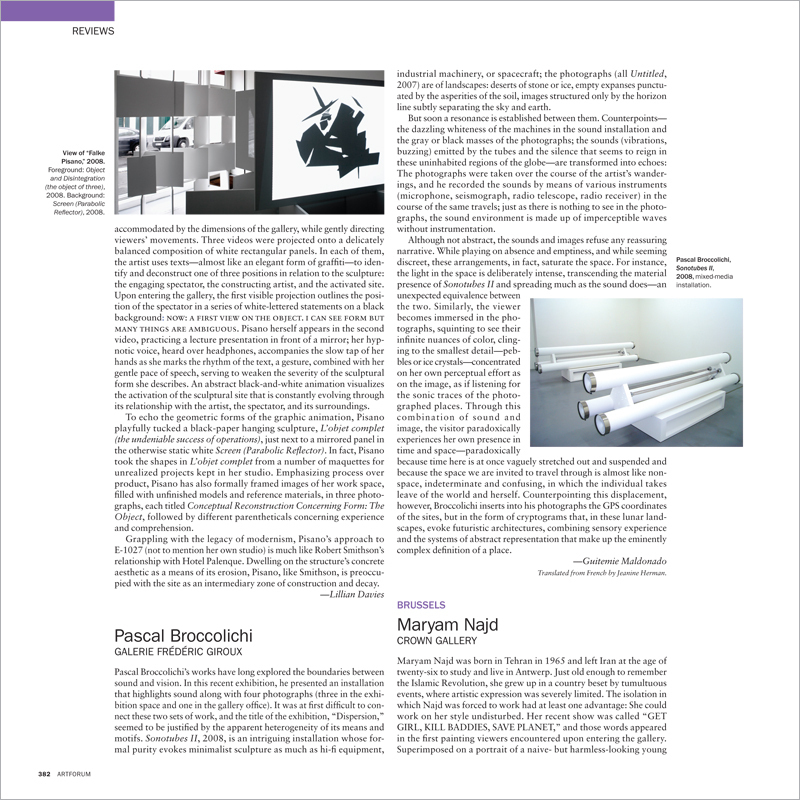 Pascal Broccolichi’s works have long explored the boundaries between sound and vision. In this recent exhibition, he presented an installation that highlights sound along with four photographs (three in the exhibition space and one in the gallery office). It was at first difficult to connect these two sets of work, and the title of the exhibition, “Dispersion,” seemed to be justified by the apparent heterogeneity of its means and motifs. Sonotubes II, 2008, is an intriguing installation whose formal purity evokes minimalist sculpture as much as hi-fi equipment, industrial machinery, or spacecraft; the photographs (all Untitled, 2007) are of landscapes: deserts of stone or ice, empty expanses punctuated by the asperities of the soil, images structured only by the horizon line subtly separating the sky and earth.